A massive cold storm system converging on Southern California could result in record rainfall in some spots Wednesday and Thursday, and Riverside County officials advised residents who live along the foot of the Cleveland National Forest to be prepared for mandatory evacuations if flooding appears imminent. According to the National Weather Service, a massive trough of low pressure loaded with energy from the Gulf of Alaska and a disturbance farther south in the Pacific will begin spreading across the region Wednesday, gathering strength as it makes landfall. “Rainfall will become heavy at times on Wednesday night, with the heaviest rainfall on Thursday as the trough passes by to the north, providing additional lift of the tropical moisture,” according to an NWS statement. Forecasters said the moisture “plume” will pack a one-two punch that could, cumulatively, produce as much as 10 inches of precipitation in isolated locations, mainly in and around mountains. The western halves of Riverside and San Bernardino counties are predicted to receive anywhere from two to three inches as the atmospheric river rolls eastward, forecasters said. 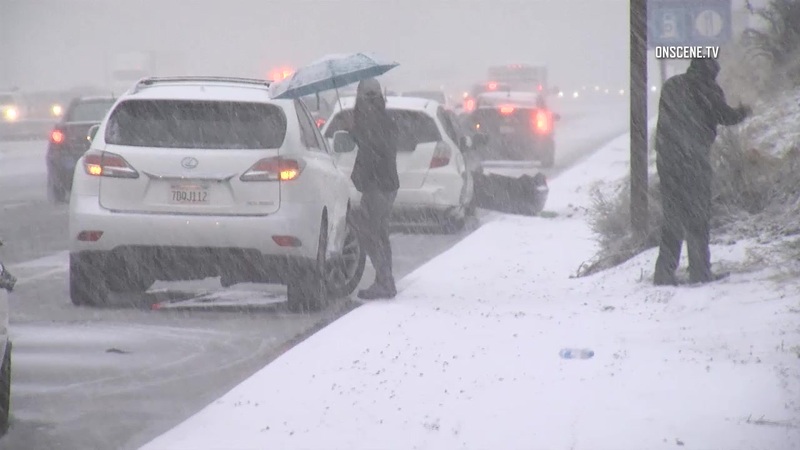 Coachella Valley communities and other desert areas could get up to three quarters of an inch over the duration of the storm, according to the NWS. Snow levels are generally expected to remain above 8,000 feet. The Riverside County Emergency Management Department indicated that evacuation warnings, which are advisory only and urge recipients to leave for their own safety, are highly probable, and mandatory evacuation orders may follow at the first sign of flash flooding, mud and debris flows in the vicinity of burn scars within the Cleveland National Forest. Details about how to prepare and where to go when an evacuation order is issued can be found at www.rivcoready.org. Residents can also sign up for emergency alert notifications via the website. A wide area skirting the eastern boundary of the national forest, including Lake Elsinore and the Temescal Valley, was left exposed to potential flood damage because of the 23,000-acre Holy Fire in August. The blaze, allegedly the work of an arsonist, denuded steep terrain below Santiago Peak, permitting water to flow unchecked onto lower slopes where subdivisions are situated. During a three-part storm series between Jan. 31 and Feb. 4, the EMD issued mandatory evacuation orders covering the Glen Ivy, Horsethief Canyon and McVicker Park communities on the north side of Lake Elsinore and south of El Cerrito, along Interstate 15. Mud and debris flows prompted several street closures, but no significant damage was reported in connection with the storms. According to the NWS, fragments of another storm system will impact Southern California Friday-Sunday, during which scattered showers are in the forecast.